VIII, 262 p., 12,2 x 19,4 cm. Heidegger saw the »epitome of metaphysics in German idealism« in Schelling’s work on freedom, since in it the distinction between ground and existence is traced back to the will as the ground of existence. 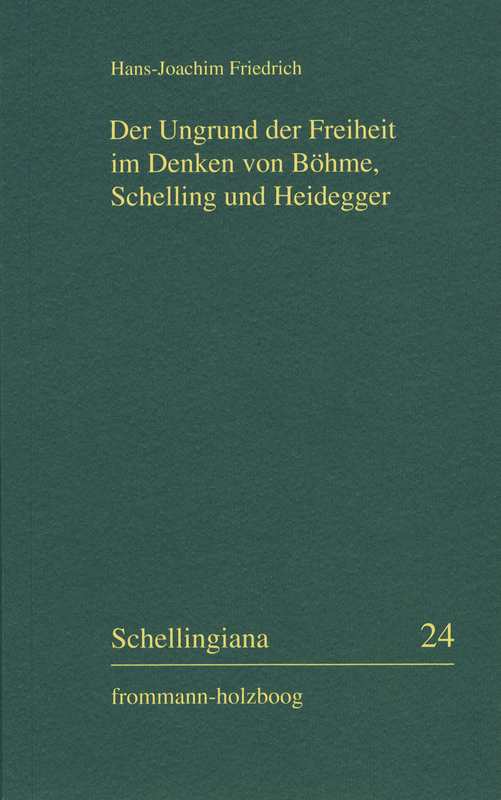 Schelling himself did not however trace the distinction back to the will, but rather to the concept of groundlessness, which he adopted from Jakob Böhme. This is what Schelling designated as the indifference of freedom, in which the being can only be made to decide by the will as the potentiality for being and the shouldness of being.